the nickname of the owner of the Teahouse Anna Maria during her student days happened to be Anna. Located in Arashiyama, famous place of scenic beauty in western part of Kyoto City, Anna Maria is an ideal place for tea lovers. you will find completely another dimension of western style teahouse. Also available are tables at Japanese style veranda facing moss garden as well as a cozy Tatami room (for six to eight persons). Our teahouse is not a kind of deceptive shops which tend to be seen in tourist spots, but we always treat the customer with complete sincerity, as though it were a once- in-a-lifetime opportunity the way as respected in traditional Japanese Tea Ceremony. So, please do visit us freely and enjoy authentic teas and sweets along with the international service in superb atmosphere. The garden of Anna Maria is a typical Japanese dry scenery moss garden which was built in 1982 by a famous gardener, Kouki Hiraoka, who received the Yellow Ribbon Medal in 2002. The pebbled area in the central part shows the river, where the stone in the middle and the flat stone on this side show a boat and a jetty. On the other side of the river, you can see seven rocks on a small hill covered with moss which symbolize the Seven Gods of Good Fortune. We serve and sell selected pure teas directly from India and Sri Lanka via fair transactions at the tea auctions at Calcutta and Colombo. For your easiness of choice, we have carefully narrowed down to about ten kinds of tea leaves from the variety of best quality teas, and the quality has been highly appreciated by connoisseur all over Japan as well as from foreign countries. Most of our teas are 100% pure, straight from tea garden, non-blended and non-flavored so that you can enjoy the characteristic features of taste, flavor and color of liquor of each tea. 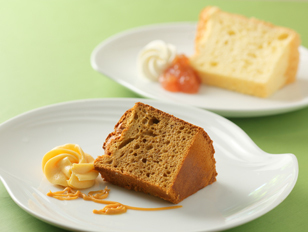 Enjoy the soft and tasty chiffon made of eggs of floor-fed chicken, prepared without using any additives such as baking powder, coloring gent etc. Enjoy the scone prepared from English country recipe, served with home-made jam and fresh cream. 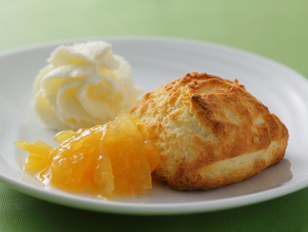 Without clotted cream, our scone was appraised by an English gentleman; “this is the best scone I ever had elsewhere”. 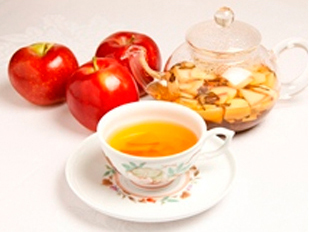 Enjoy the harmony of rich flavor of Fresh Apple and Tea. January, February, July and August are fully closed every year. AM11:30 – PM6:00 (Last Order) Closed on Tuesday& Wednesday. January, February, July and August are fully closed every year. Copyright (c) Anna Maria. All right reserved.